Lee Taft is a speaker, consultant and coach for people across the globe get faster. Whether it’s working with high-level athletes, or taking a staff and helping them take their speed game to the next level, Lee is a guy that consistently delivers the goods. And in a lot of ways, Lee is like the speed mentor that I never had. He’s spoken at numerous events for us in the past, and he’s always incredibly gracious with his time. In this show, Lee and I take a deep dive into program design for speed and agility training, including why he breaks his days into power and elastic sessions, how he modifies training volume on high intensity change of direction workouts, and how he primes the system to achieve maximal performance. This show is an absolute gem, and I know you’re going to love it. How Lee designs a complete training session – and speed is actually the shortest part of it! His layout and structure for a training week, and why he’s moved from linear and lateral days to “power” and “elastic” sessions. 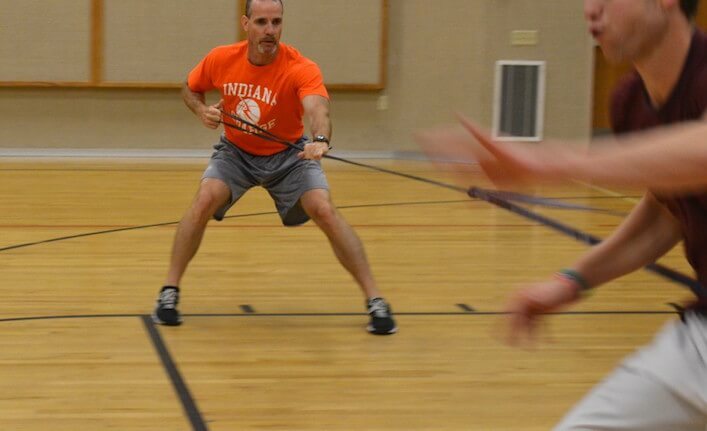 How Lee “builds” into his speed work, to make sure that his athletes are primed and ready to go. Why competition is such a critical aspect of your speed development program. Where medicine ball throws and jumps fit into your programming, and why they’re a critical aspect of your program. The biggest mentor(s) Lee has had along the way, and why they were so critical to his development. A really fun lightning round where we talk about getting work done in his garage, the books he’s reading right now, and the athlete who has really stood out to him with regards to their speed development.